Get your chopsticks ready!! 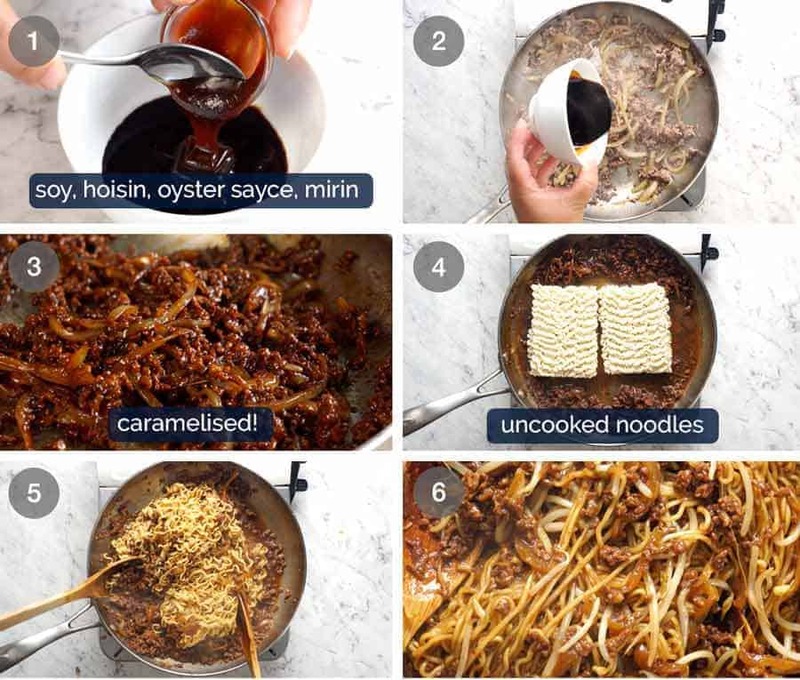 With caramelised beef, a tangle of noodles, and a sweet savoury 4 ingredient sauce, these Asian Beef Ramen Noodles are totally slurp-worthy! 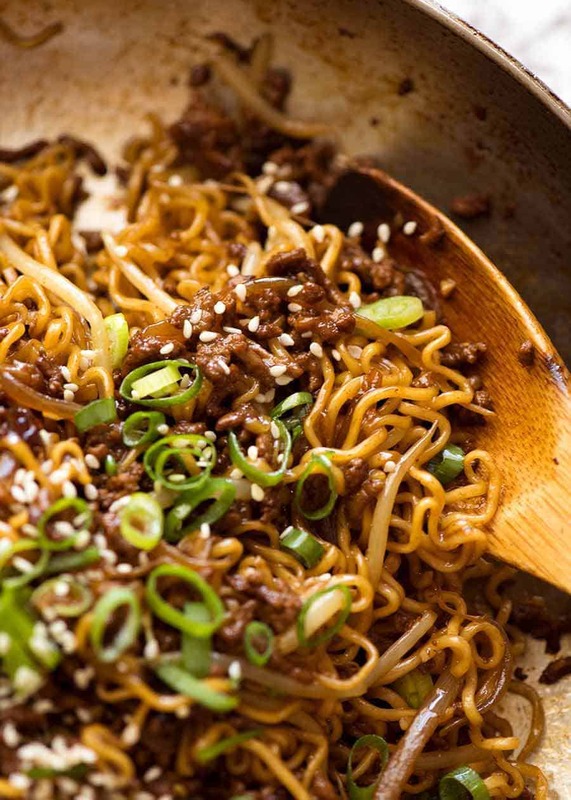 A terrific economical beef mince recipe, prepare to be amazed at how quick and easy this flavour packed ramen noodle recipe is! Are you ready?? Now available: Chicken Vegetable Ramen Noodles! 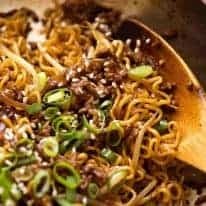 ASIAN BEEF RAMEN NOODLES recipe – spin on a reader favourite! Well, when 3 total strangers within the space of 2 weeks tell you that these Asian Beef Bowls are one of their favourites because it’s so tasty yet quick ‘n easy, it triggered a thought – why not do a ramen noodle version?? So the thought came to life. How to make Ramen Noodles – in ONE POT! 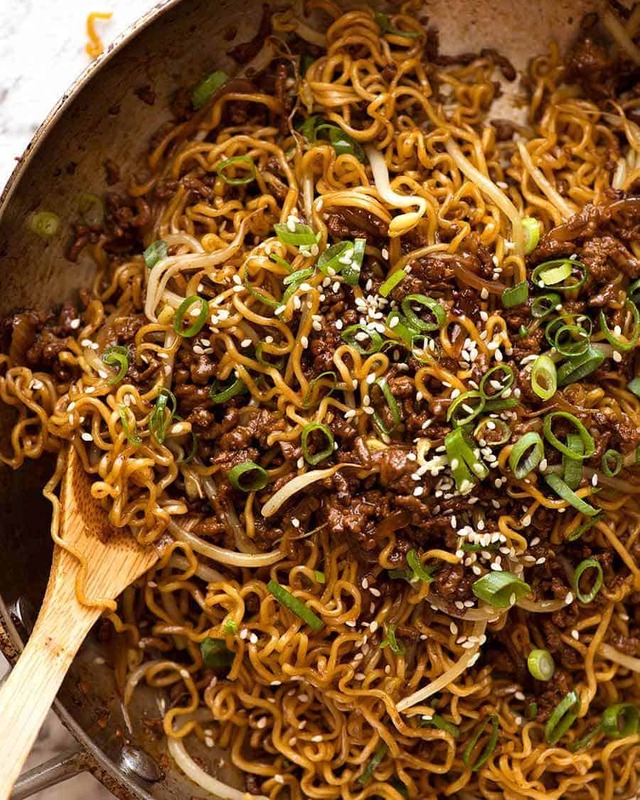 Yes that’s right, these Asian Beef Ramen Noodles are made in ONE POT!!! 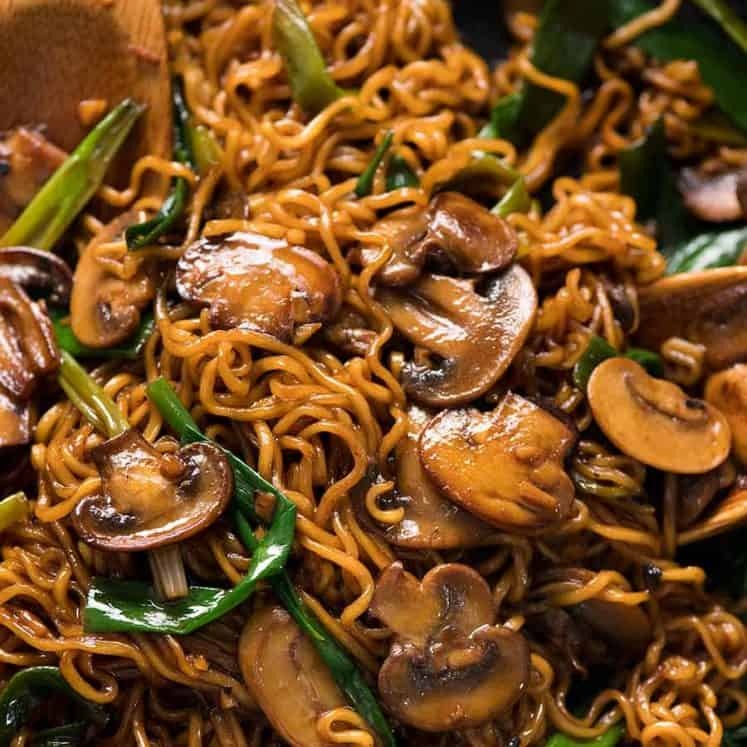 Sure it saves on washing up an extra pot to cook the noodles separately, but for this recipe, the more important factor is that the starch in the noodles acts as the thickener for the sauce (which has no cornflour/cornstarch or other thickener). So here’s how this recipe goes down – 4 minutes for the onion and beef, 2 to 3 minutes for the noodles, MAX! By the time the ramen noodles are cooked, the liquid is absorbed / evaporated, leaving behind a nice coating of sauce on the perfectly cooked noodles. The beauty of this technique is that it HAS to be a super quick recipe because the noodles are cooked in 2 to 3 minutes. Any longer and they become too soft! WHAT CAN I ADD TO RAMEN NOODLES? This is a very adaptable recipe. I’ve used onion, garlic, ground beef (mince) and beansprouts because it requires minimal chopping. Finely sliced cabbage would be an ideal substitute for the bean sprouts, otherwise carrots cut into matchsticks, baby spinach or even normal spinach, or even finely sliced kale. Toss these in when the bean sprouts are added, just to wilt. If using other vegetables that need to be cooked for longer that leach water when cooked, such as peppers, zucchini or mushroom, cook these first then remove from the pan (otherwise they leach too much liquid when the noodles cook so you end up with too much water). Proceed with recipe then toss them in at the end. I don’t know if you’ve got a hang up about instant noodles – whether from excess consumption in your uni days or because of health concerns – but let’s just say this recipe is a far cry from the plonk-in-water-add-veg that you probably overdosed on. 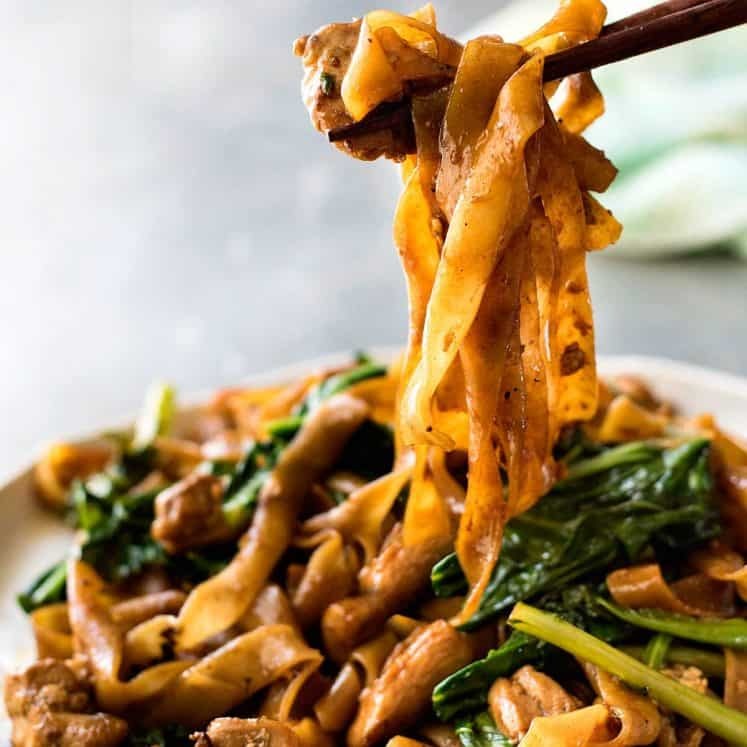 What I’m making the most of here in this recipe is the quick-cook noodles and the shape of the noodles cakes (flat) so they can be cooked in a shallow skillet. Any instant noodles or ramen noodles will work just fine because we discard the soup seasoning mix. You can also buy just the noodle cakes (no seasoning) in larger packs of 5+. 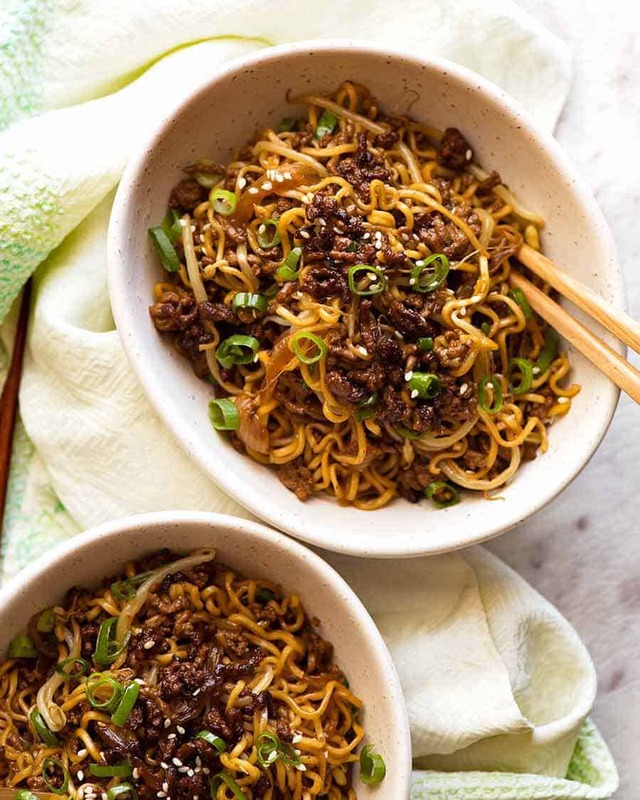 If you don’t have instant noodles (or you really can’t get past your dorm days), these Asian Beef Ramen Noodles will work just fine with any other type of noodles. Dried or fresh, rice or wheat / egg noodles. Got beef mince? You can do better than Spag Bol. 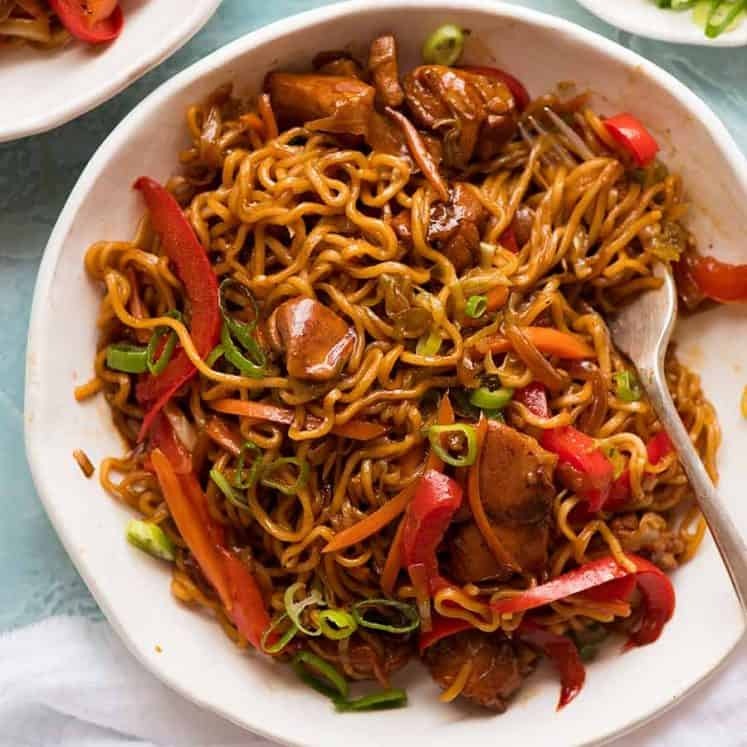 Chow Mein – reader fave! One Pot Chicken and Vegetable Ramen Noodles – loads of hidden veggies! Recipe video above. A great quick ramen noodle recipe that requires very little prep. The trick here is to caramelise the beef well - makes all the difference! TIP: Don't cook the ramen noodles any longer than it says to on the packet! So basically, this HAS to be a super quick recipe 🙂 Now available: Chicken and vegetable version! Heat oils in a medium skillet over high heat. Add onion and garlic, cook for 1 1/2 minutes until starting to go golden. Add beef and cook, breaking it up as you go, until it changes from pink to light brown. Add Sauce and cook for 2 to 3 minutes until well caramelised (see video). Push beef to the side to make enough space for the noodles. Add water, place noodles in water. Leave for 45 seconds then turn. Leave for 30 seconds, then untangle the noodles, then toss through the beef. 1. 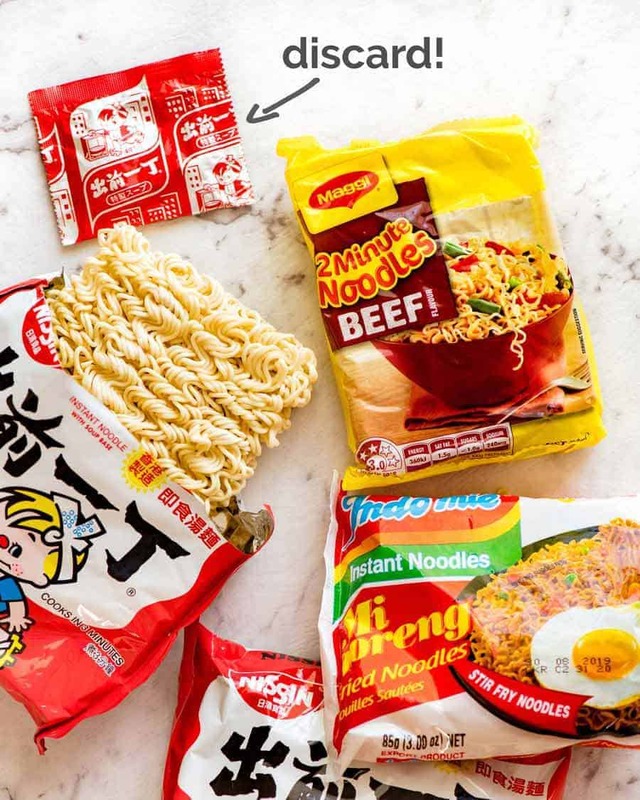 Instant or Ramen Noodles - Any brand or type is fine here, though avoid the extra large ramen packets because you'll struggle to fit two in the pan (though can break them). If it comes with soup seasoning packets, toss them. Ssub with fresh or dried noodles (rice or wheat). Prepare per packet, use ~ 2 packed cups, toss through the caramelised beef with a splash of water. 2. Sesame oil - Use toasted sesame oil if you've got it, otherwise untoasted is fine. Brown sesame oil = toasted, untoasted = yellow like normal oil. 3. Mince - Ground beef is called mince here in Australia. Can sub with any other ground meat of choice - chicken, turkey, pork, lamb, kangaroo (really! ), veal. 4. Dark Soy Sauce has a darker colour and more intense flavour than all purpose and light soy sauce. If you can't find it, any soy sauce is fine here but the sauce colour will be lighter. 5. Oyster Sauce - I've noticed vegetarian oyster sauce in the supermarkets lately! 6. Mirin - a sweet Japanese cooking sake, very common ingredient in Japanese cooking. Find it in large supermarkets, or Asian grocery stores. Sub with Chinese cooking wine, dry sherry. Non alcoholic sub: use 1/2 cup water + 3/4 cup low sodium chicken stock/broth (instead of 1 1/4 cups water) and skip the Mirin. 7. Total cook time for noodles should be per packet. Add a touch more water if noodles need longer. 8. SCALING recipe up (click servings and slide) - use a larger skillet. Can break noodle cakes if necessary to fit. 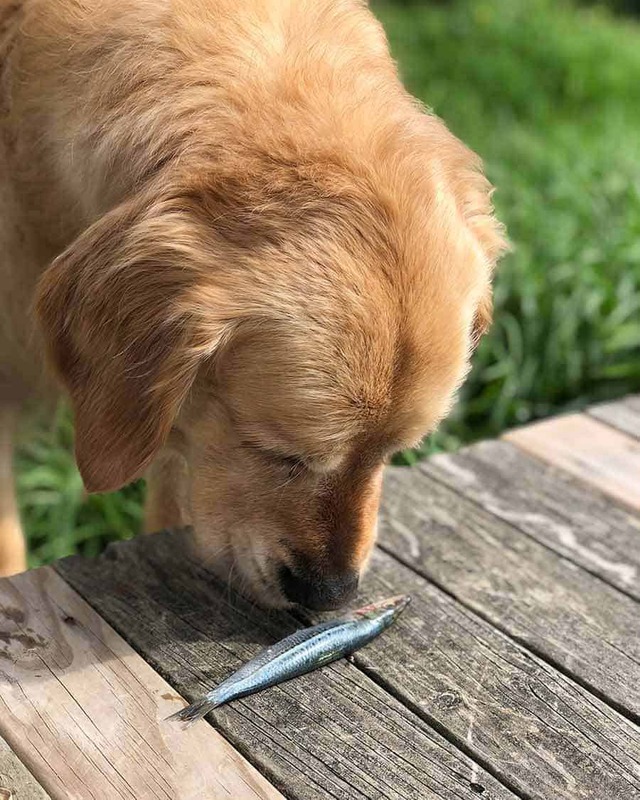 I’ve been trying to move him onto a paleo diet ie no commercial dog food. Currently experimenting to see what he will and won’t eat. The recipe says teaspoon of hoisin, but below in the comments it says tablespoon. Can u pls confirm which one it should be in the recipe? Down below on 7th March you wrote “The recipe calls for 1 Tbls Oyster & 2 Tbls Hoisin.” That confused me. Hence the question for clarification. Thx. This was so good! I added some sad looking baby boy choy from the fridge and got a big thumbs up from the family. Incredibly easy – thank you so much for a quick n easy great recipe! Can people purchase the stack of instant noodles from the Asian market & how many circles stacks of noodles would equal 2square packages? You sure can – it depends on the size of the serving (I’m unsure how big the circles are that you’re referring to) the usual individual packs are 85g. I am confused with the oyster & Hoisin sauce; how many tsp/tbsp if people uses hoisin instead of oyster; more oyster if people use it in the place of hoisin. The recipe calls for 1 Tbls Oyster & 2 Tbls Hoisin. If you don’t want to use oyster – just substitute with 1 Tbls of Hoisin. Similarly that if you don’t have hoisin, you can sub with 2 Tbls Oyster. Hope that clarifies! Thanks Nagi, made this last night. It was good but a bit too sweet for our tastes. I think it might have been from the oyster sauce but not being familiar with these sauces I can say for sure. Any recommendations to tone the sweetness without losing the fabulous flavors? Thanks Nagi. Nice quick recipe that my partner gave high praise. Could I sub kecap manis for the dark soy next time or do you think that would end up being too sickly? Hi Bec, going well so far, definitely some things he absolutely refuses though – fussy man! I LOVE your recipes and the energy that you exude in all of your posts. And, in all honesty, Dozer is a HUGE attraction as well. Thanks for all you do!! So easy. So good. I bought a large package of ramen (12 pkgs!) so I will usually have all the ingredients on hand for a quick dinner. Leftovers were pretty good too. Next time, I will add some red pepper flakes to the beef as it was browning to add a little heat. Sounds like a great idea Sarah! Just found you and I’m soo impressed with what you do. I’m wondering if your name is pronounced with a “long A” or with an “AWE” sound? Thanks. Absolute winner in this house, thank you for sharing. I added finely chopped water chestnuts and zucchini. I found scaling up for 5 people wasn’t enough for my family so I will probably double it next time – and there will definitely be a next time!